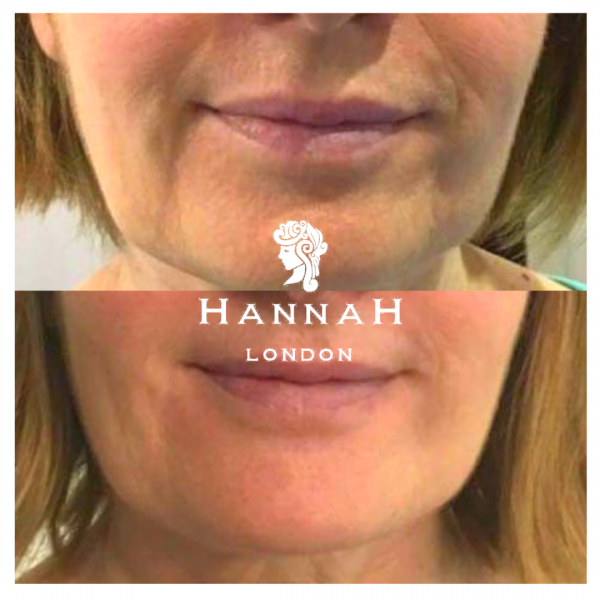 Double Chin Reduction treatment is available at Hannah London in our luxurious doctor-led medispa in Colindale. For the month of April 2019, it is on offer for only £150. Using what is known as HIFU (high-intensity focused ultrasound) it targets and treats the double chin area to reduce its appearance and leave it with a more contoured and streamlined appearance. HIFU works by delivering a concentrated beam of energy to the area to stimulate collagen production which works to renew the area with a firmer and more youthful appearance. Call us on 02082026187, DM us on Instagram or click here to book online. Is the Double Chin Reduction treatment painful? While it is not known to be very painful – clients will experience an intense heated and tingline sensation as the beam of energy deeply penetrates the layers of your skin to deliver the best results. Your Hannah London therapist will use an ice roller on your skin afterwards to cool it down. HIFU is also known as the non-surgical facelift in that it brings these visible and noticeably aesthetic results in a safe way with evidence-based research backing it. As an advanced aesthetic treatment, we are delighted to offer it at our luxurious medispa in Colindale. To begin, your Hannah London therapist will have a consultation with you so that you can understand the treatment, know what to expect during and after it and also have any of your questions and queries answered. During the treatment you will relax on the treatment bed in the private and luxuriously decorated treatment room. Your therapist will talk with you as the handheld HIFU device is passed over your double chin area to deliver the effective treatment. The great thing about HIFU is that the results continue to unfold over time as fresh collagen continues to be produced to bestow the area with the beautiful benefits. Most clients only need this treatment once to see the best results and can expect them to last for up to six months and over. This will all be explained to you when you meet your Hannah London therapist for your consultation and HIFU appointment. 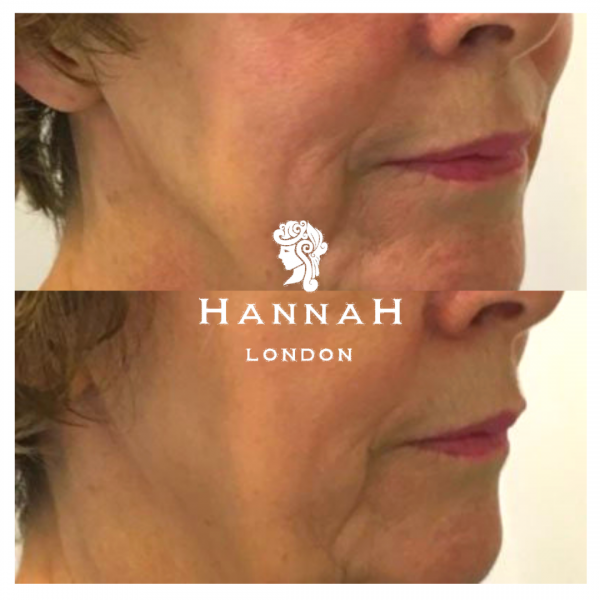 This month only at Hannah London, you can get this HIFU Double Chin Reduction for only £150. Interested in more? We are also offering the Double Chin Reduction, Neckline Tightening and Jawline Slimming for online £395 – the complete contouring collection! Call us on 02082026187, DM us on Instagram or click here to book online.